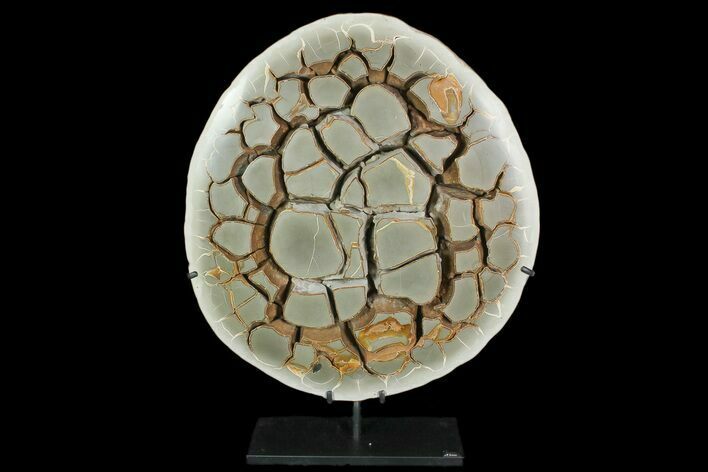 16.1" Cut Septarian Nodule With Pyrite With Stand - Spectacular! 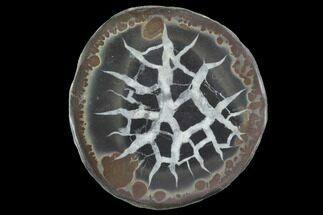 This is a massive septarian nodule from the Boom Clay of Belgium, that has been cut, polished and mounted on a metal stand. 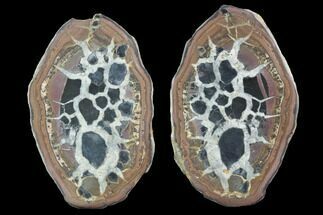 The cavities within this nodule are lined with a mix of microscopic calcite and pyrite crystals. 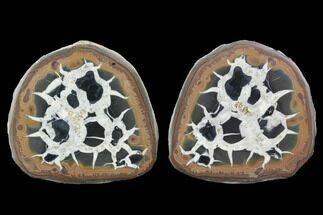 Septarian is a form of sedimentary geode that formed on sea beds millions of years ago. 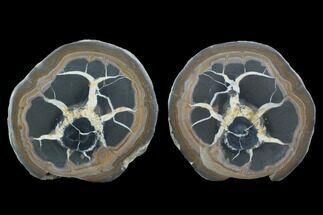 When they dried out they cracked and formed hollow interiors. 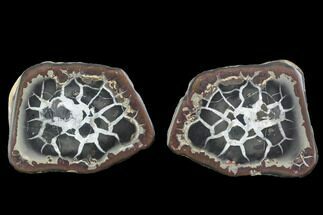 The interiors usually become either partly or completely full with other minerals, such as calcite, giving septarian its unusual texture and features. 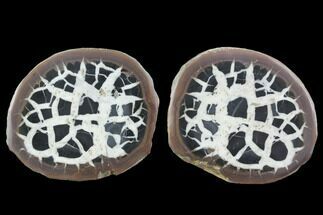 Calcite was carried down into the cracks of the mud balls and calcite crystals formed.